If you want to visit the region of Gilgit-Baltistan, then we would love to tell you that you are not bound to season and time. All we would say depends on your choice of the tourist spot. For instance, if you want to enjoy the apricot and cherry blossom then it would be April-May and if you want to enjoy the wildflowers and fishing at Deoasai plains then it would be ultimately the June to August because before or after that it would not be accessible due to heavy snowfall. Similarly, if you want to enjoy the colorful season i.e. Autumn then it would be October-November. So, it all depends on your choice and preference. But we are going to list the things in detail, so read the full post and visit GB with full confidence and knowledge and preparation. The spring season in Gilgit-Baltistan spans over months. Spring in warm regions like Chilas and Gilgit starts in February and in remote areas of Baltistan region it is not until the mid of April. During spring season the cherry and apricot blossom would be the best to enjoy. 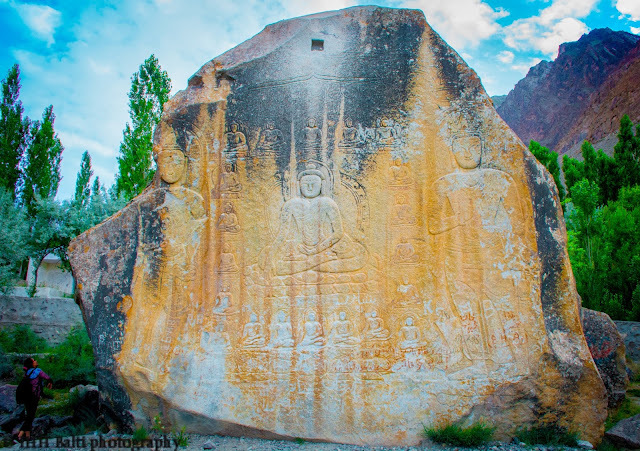 It would be better to visit the region from mid-March to Mid of April because during this season the blossom would be on peak and if you are visiting the Skardu region it would be the season of Noroz Festival (21st March). The region would be covered by the off-white and pink flowers of cherry and apricot presenting a picturesque and breathtaking view. The most favorable season to visit the region is summer i.e. from the start of June to end of August in which you can visit every nook and cranny of GB. Whether you want to climb K-2 or visit Deosai Plains of Skardu, this season is the best. In winter almost entire of the region is covered by snow, especially the regions where K-2 and Deosai are located receives about 8-10 feet of snow and until the end of May, these areas are not accessible at all. Other areas like Shangrila Resort and the historic building will be open and accessible if you arrive even before the May, but it would be better to visit in May or later. If you haven't witnessed the color of GB in autumn then you haven't experienced the autumn in its purest form. The shedding of yellow, orange and red leaves from different species of trees and especially the giant eucalyptus trees would be the best scene to observe. The region would look like you have landed in a garden where there are different kinds of flowers on peak bloom. In winter though the region is covered by snow and most of the places remain stranded it is not like you can't visit the areas in winter. You can visit Gilgit and Skardu by air to witness the snowfall. The "Skiing Championship" is held in Naltar valley in Gilgit by the Pakistan airforce where you can enjoy skiing. Naltar valley has an international level skiing track and you can enjoy the cable cars as well. Your comments are welcomed. Feel free if you want to ask anything.